Do you want to sell your digital or downloadable products online? Web-Cart provides you a platform to sell your digital or downloadable products online. Means, once customer made a payment, the access to the product’s download will be provided to the customer. You need to login with an account having permission to add a product. 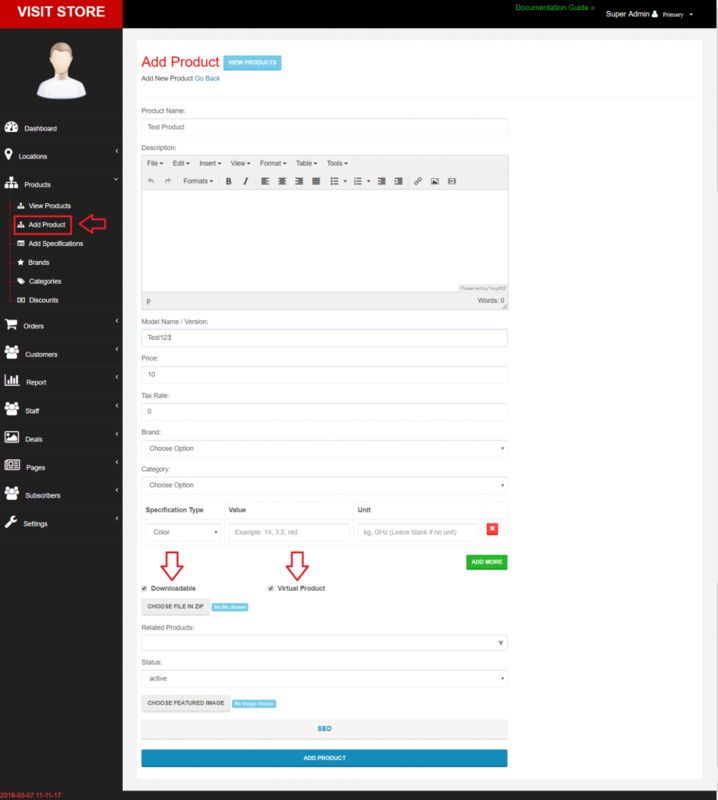 Next, to add a new product to a store, navigate to ‘Manage’ > ‘Products’ > ‘Add Product’. Next, you have to tick “Virtual” and “Downloadable” check-boxes. Finally, choose your compressed file and click “Add Product”.